In a world in which media giants compete for ever-increasing content, Canada is being left out in our proverbial cold. Last year, a study commissioned by the Canadian media producers’ associations entitled Exporting Canadian Television Globally found that Canada lacked flexibility in funding media content to meet the demand from streaming content providers like Netflix, Amazon and Hulu.1 These conglomerates are making ever more substantial investments in drama series for worldwide distribution. For Canadian media producers to win a greater share of these investments, the report called for more public funding and incentives. This is true, but far from the whole story. The recommendations need to be set in the context of media developments in recent years. In 2007, the landscape of the television industry (and in some respects the film industry as well) was forever changed when Netflix began streaming content over the internet. 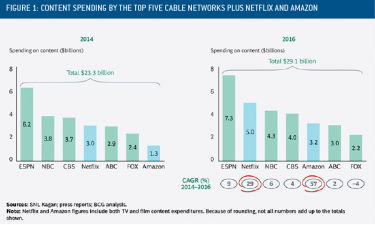 With the rapid growth that followed Netflix’s expansion across the globe (as of January 2018, according to Wikipedia, Netflix had 117,580,000 paying subscribers in 190 countries), other media companies, and even some companies with internet proficiency that had never before been involved in media distribution, were attracted into the market by the almost unlimited potential that opened up. For example, Amazon Unbox, launched on September 7, 2006, rented out DVD movies. Soon, however, as it expanded the library of its media streaming division, it made that content available with the development of Amazon Prime. As of September 2017, there were 90 million Amazon Prime subscribers in the United States, up from 63 million in June 2016.2 With new players entering the market at a regular pace, it was not a matter of merely being able to develop and manage a media distribution enterprise, but of finding the content that would draw the subscribers. In 2018 Netflix is set to spend upwards of US$8 billion on content and expects to have about 700 original TV shows on the service worldwide, according to CFO David Wells. This original content, Wells told the Morgan Stanley Technology, Media & Telecom Conference, is driving up Netflix’s subscriber base. The “700-range” figure he cited includes 80 non-English-language original productions from outside the United States, such as the psychological thriller Dark from Germany and Club de Cuervos from Mexico, plus a large number from Spain and South Korea.4 On the basis of the level of spending that Netflix has committed to, its annual budget would place it second among media networks in the United States, up from fourth in 2014 (see figure 1). It would be number one if you were to remove the huge amounts of money that ESPN spends to secure broadcast rights to professional sports. With this new drive for television shows and movies and the limited ability of any one media provider to produce sufficient content to draw in a wider range of new subscribers, Netflix and Amazon primarily, along with the other streaming services, are expanding their search for independent productions worldwide. With 80 productions from outside its own in-house creative division in 2018 alone, Netflix is only one of many media giants roaming the globe for interesting and dynamic shows. With this ever-growing thirst for television and movies – principally in English, as the North American market is by far the largest – Canada has come up short. How can we quantify this? Because of the intricacies of copyright laws and the deals transacted by Netflix to broadcast shows that they have licensed from other production companies, not every television series or movie is shown in each country that Netflix serves. Because of these limits, certain foreign and domestic productions are not shown in the United States and Canada. This makes it difficult to provide statistics that give a complete portrait of Netflix’s presence by country. Here I use figures for the North American and Caribbean regions. Moreover, Netflix has been famously discreet about its internal matrices on the level of viewer support for its shows, the number of total productions and how well any one production does worldwide. Most readily available statistics have been garnered by data amalgamators and are, at best, rough estimates. Hollywood’s interest in Netflix’s unreported numbers is high, but, as reported by the Hollywood Reporter on April 12, 2016, when NBC Universal’s research chief Alan Wurtzel recently tried to publicly expose them to TV critics, Netflix swiftly dismissed the numbers as inaccurate. As a large swatch of Netflix’s viewers in the United States and anglophone Canada are not that interested in subtitled foreign-language productions – although, overall, shows from non-English-speaking countries are growing in popularity – the demand for English-language television and film for the North American market is of particular interest to the streaming service. It’s true that Canada ranks only behind the U.S., the U.K. and Japan in the number of independent productions Netflix has coproduced or to which it has purchased the rights (Japan’s score is due to the incredible popularity of anime, a cultural phenomenon developed and created principally in that country alone). However, this is misleading, since on a per-capita basis, and even more so on a GDP-per-capita basis, Canada ranks behind every other region in which English is the predominant language of the creative arts. Indeed, two Scandinavian countries, Norway and Iceland, produce more content per capita than Canada. Figure 2 illustrates Netflix’s model of seeking out English-language viewers by the dates that the streaming service entered foreign countries in its drive to expand worldwide. 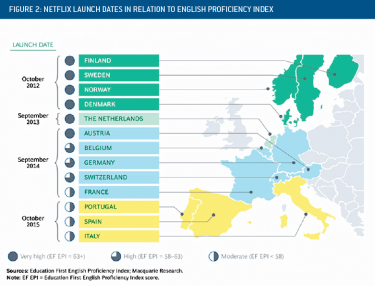 It shows how, as Netflix sought out foreign creative partners to entice its new viewer base outside the United States, it gave priority to countries based on their level of English fluency. With its $8 billion content budget, Netflix is consistently adding new original and licensed titles from around the world. There are 50 new and returning productions in various stages of development this year in Latin America, including Mexico’s Diablero, and 19 standup comedy specials in Spanish. In fact, many of the streaming giant’s most popular productions were not created in the United States. 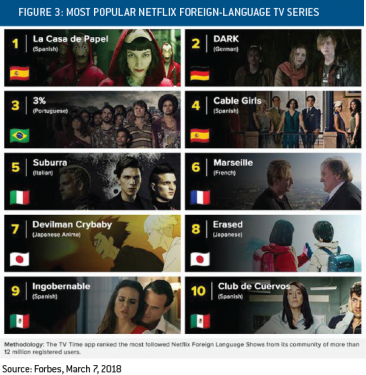 With its top-rated international originals, the list of global titles at Netflix is growing rapidly, encompassing various cultures and languages from all countries (figure 3). These shows are proving highly successful for the streaming giant. For example, Netflix’s first original German series, Dark, has a viewership that is 90 per cent outside its country of origin, even though the show is in German. Moreover, Canada offers a host of attractive incentives for investment in creating content in Canada. The Alliance of Canadian Cinema, Television and Radio Artists (ACTRA) is the umbrella organization that represents the media industry at home and internationally. It participates in international trade missions which aim to bring more work to Canada and works with the industry and governments to improve the business environment for production in the country. On its website, ACTRA tells us that Toronto is the third largest screen-based production centre in North America, behind Los Angeles and New York City. It claims that the 25,000 people in Toronto’s film and television industry sport superb talent both in front of and behind the camera, including in digital animation and special effects, while the city also has some of the industry’s best production and post-production facilities. The numbers bear this out. In 2014 domestic and international screen-based production companies invested a record $1.23 billion in on-location filming in Toronto, exceeding the $1 billion mark for the fourth consecutive year. Hence it would appear that there is no shortage of money in Canada to fund new creative content. And yet, in an environment where the budgets necessary to produce topflight entertainment grow annually, sometimes the funds are insufficient. Netflix spent about US$100 million (C$130 million) to create two seasons of House of Cards. To put that into perspective, this investment represents close to the entire annual budget for each of CBC and Radio-Canada’s nonnews programming. If Canada has the homegrown talent to compete on the world stage, would greater availability of financing be one of the solutions? Is there a correlation between the amount that a country spends on its public broadcasting budget and the success of the media productions that inevitably come out of this rich environment? Figure 4 is suggestive. In 1997 the British government launched Creative Britain, which prioritized culture as a pillar of the British economy and drove sustained investment in British culture. These investments have subsequently yielded important economic, as well as artistic, benefits and have resulted in British productions being sought after throughout the world. 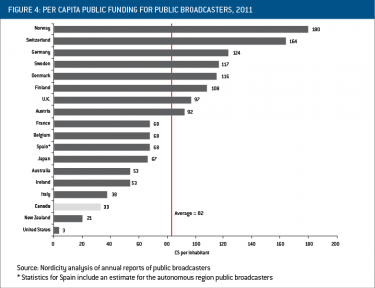 As figure 5 shows, public funding for Britain’s public broadcaster has tripled in the last 25 years. This has resulted in the BBC producing the kind of world-class productions that the rest of the world, including Netflix, appears to crave. 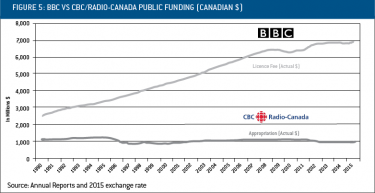 In the same period funding for CBC/Radio-Canada has declined in real dollars. A 2017 study, conducted by HighSpeedInternet.com using Google Trends data, identified the most popular shows by country as well as the world’s favourite TV show to watch on Netflix. 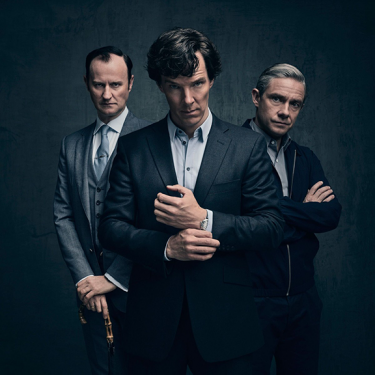 Instead of the world’s most popular show being a Netflix original series or even a high-production American program, it is in fact the BBC’s Sherlock, featuring Benedict Cumberbatch as Sherlock Holmes and Martin Freeman as Dr. Watson. It was in this climate of fertile British productions that a U.K.-based production company, Carnival Films, teamed up with the Masterpiece show on PBS in the United States in 2010 to produce the hit series Downton Abbey. 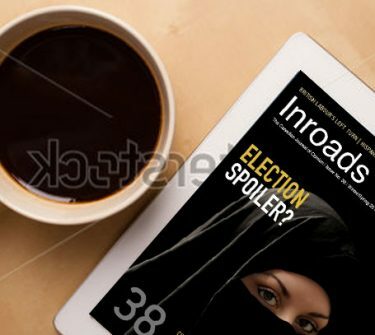 The series became a skirmish in Amazon and Netflix’s battle for subscription streaming video supremacy when, in 2013, just one day after Netflix premiered its original show House of Cards, Amazon announced that it had struck a licensing deal to exclusively carry the U.S. subscription streaming rights to Downton Abbey. For its part, Netflix has streamed high-quality, much-sought-after series, including The Crown (Britain), Top of the Lake (New Zealand) and Wanted (Australia). Anglophone Canadians have always spent much more time watching American TV programs than programs produced in Canada. Public opinion surveys have also shown that English Canadians are not all that interested in seeing homegrown, Canadian dramas. Even in the 1950s, when the CBC was the only Canadian channel, with a 100 per cent market share in most areas of the country, two thirds of its prime-time audience was generated by American programs like Ed Sullivan, Father Knows Best, Perry Como and I Love Lucy. These American shows attracted huge audiences, with ratings of 20, 30 or even 40 per cent – numbers unheard of today, when a show with rating of 2 or 3 per cent is considered a success. 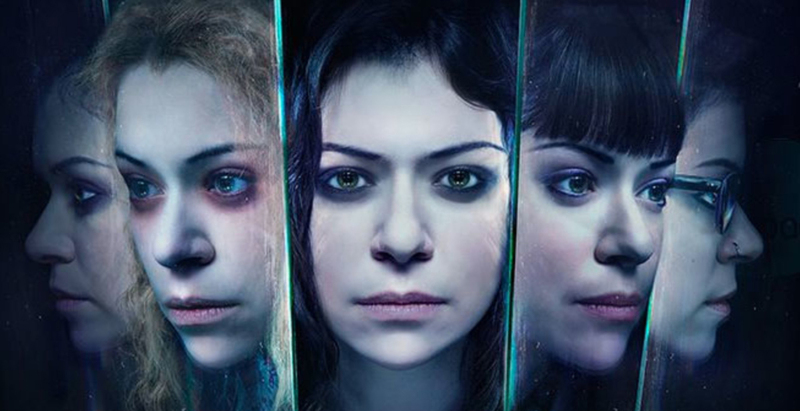 Today there are a few excellent Canadian productions such as Orphan Black and 19-2, but, as in the past, they are swamped by dozens of American and British shows. TV is an expensive business and despite complaints that we spend too much on CBC/Radio Canada, the reality, as we have seen, is that our public broadcaster is in fact dramatically underfunded compared to countries that are much more effective in recouping their investments through selling rights to the likes of Netflix and Amazon. This is the challenge. Coproductions are becoming the new standard in creative content, both film and television, and Canadian producers have been slow to invest the time and funds necessary to compete against the rest of the world. It is no accident that our most promising producers and directors – including, for the first time, francophones like Denis Villeneuve, Jean-Marc Vallée and Phillipe Falardeau – have found their way to Hollywood. This is far less the case among producers of English-language content elsewhere. The year 2017 marks 65 years since CBC-TV first went on air. It’s time to properly fund the producers of Canadian content on the CBC and private networks. It’s time to test whether Canada indeed has the talent, resources and expertise to produce the English-language shows that the rest of the world wants. 1 Maria de Rosa, Marilyn Burgess and Communications MDR, Exporting Canadian Television Globally: Trends, Opportunities and Future Directions (Toronto: Canadian Media Producers Association, 2017). 3 Kim Masters, “The Netflix Backlash: Why Hollywood Fears a Content Monopoly,” Hollywood Reporter, September 14, 2016. 4 A Very Secret Service, Call My Agent!, Cannabis and Glacé from France; La Casa de Papel, Merlí, Morocco: Love in Times of War, Tiempos de Guerra and Cathedral of the Sea from Spain; Live, Man to Man, Prison Playbook, The Sound of Your Heart, Stranger, Treehouse Detectives, White Nights, My Only Love Song, A Korean Odyssey, Argon, Bad Guys: Vile City and Black from South Korea. 5 See A Creative Canada: Strengthening Canadian Culture in a Digital World, published by the CBC on November 25, 2016. 6 www.whats-on-netflix.com Villeneuve, Jean-Marc Vallée and Phillipe Falardeau – have found their way to Hollywood.